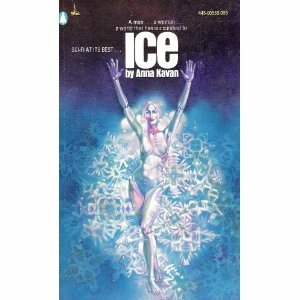 I have been meaning to read Brian Aldiss’s science fiction since I read his introduction to the American paperback edition of Anna Kavan’s surreal apocalyptic novel, Ice. It is the best piece on Kavan I’ve ever read. 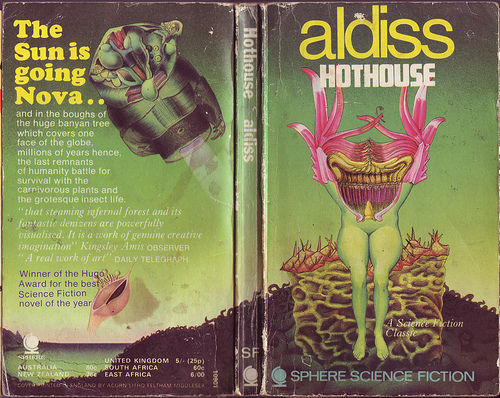 Aldiss thought Ice was the best science fiction novel of 1967. When he wrote Kavan a letter praising it, they arranged to meet. She said she was not familiar with SF, nor had she intended write science fiction, but was fascinated by his precis of trends in speculative fiction and liked the idea of being part of an up-and-coming genre. 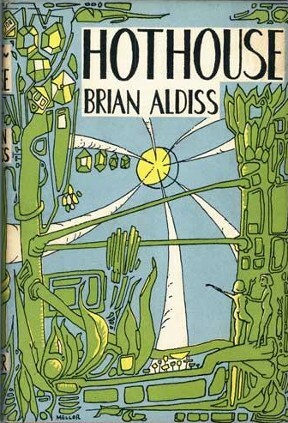 Aldiss is the author of Hothouse, a modernist SF novel in which the earth has heated up of instead of cooled down. 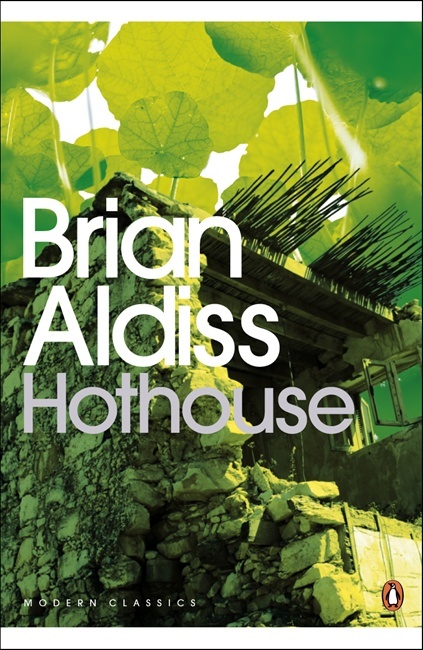 In Hothouse, first published in 1961 and reissued as a Penguin Modern Classic in 2008, human beings are determined to survive on a future earth, though they are threatened by lush man-eating vegetation. Aldiss’s gift for brilliant, gorgeous, rhythmic language makes this novel a classic. In the distant future, the sun is burning out. The cities are long gone, and the few humans left live in small tribes in trees. In the first chapter, the child Clat is killed by a trappersnapper, which senses its prey through a layer of foliage and is in essence a pair of a pair of square jaws with teeth. There are many characters, but Aldiss focuses on Gren, an intelligent young man treasured as one of the very few males of the species. Nevertheless, he is banished by the tribe leader for disobeying orders and exploring on his own; luckily, he is joined by Yattmur, a woman from another tribe. Vegetation ironically is more intelligent than humans. A morel plops on Gren’s head and invades his brain, mining his race memories to learn the history of earth. Gren and Yattmur are enslaved by the morel’s need to know and his dependence on Gren. They escape a hostile jungle in a boat with people called the tummy-belly men, who were attached to the intelligent Tummy trees by tails until Gren cuts their tails. The boats take them to an islet, where they live happily until the morel presses them to travel by huge plants called Stalkers that take them to the dark side of the world. Aldiss’s descriptions of the vegetation are almost visionary and psychedelic. Here is a description of three threatening trees. Standing apart from all other vegetation, the trees bore a resemblance to giant pineapples. A collar of spiny leaves projected outwards directed from the ground, protecting the central fleshy trunk, which in each of the three cases was swollen into a massive knobbly ovoid. From the knobs of the ovoid sprouted long trailers; from the top of the ovoid sprouted more leaves, spiny and sharp, extending some two hundred feet into the air, or hanging stiffly out over Long Water. I loved this book and look forward to reading more Aldiss: in his introduction to Kavan he compares Ice to his novel, Report on Probability A. I’ll have to look for that. This entry was tagged Anna Kavan, Brian Aldiss, Hothouse, Ice. Bookmark the permalink. I love Aldiss and can’t wait to read more! In the intro to Hothouse, Neil Gaiman says he’s the foremost English writer of his generation. I love literary SF, and I do believe you that he’s a natl treasure.